The 2017 Indy 500 was an extra special one for F1 fans, as McLaren’s Fernando Alonso joined the field in a McLaren-Honda Andretti car. However, the Spaniard was left with the cruelest of fates in the closing stages of the race, as his Honda engine blew with 20 laps to go. He had been running inside the top ten at the time, having pulled off several passes. Alonso’s debut at Indy made for a fantastic performance though, having swapped the lead with teammate Alexander Rossi and making some impressive moves throughout the course of the race. The McLaren driver’s engine failure wasn’t the first of the day for Honda either, as Charlie Kimball and 2014 winner Ryan Hunter-Reay also succumbed to engine failures while running in the top order. 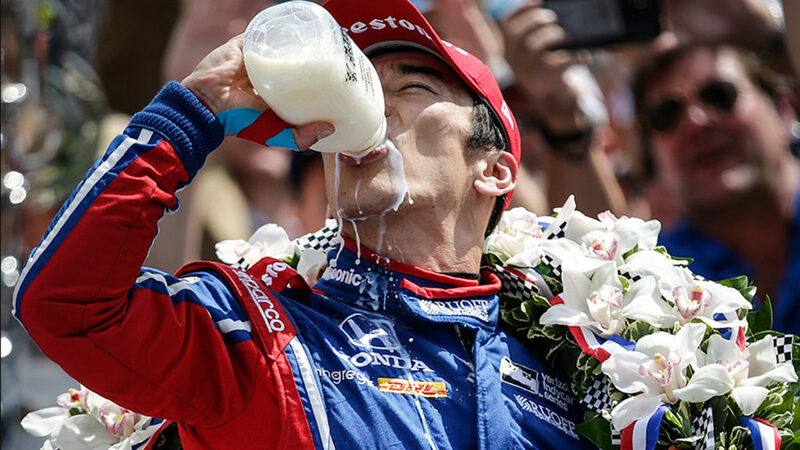 Nevertheless, the day belonged to Takuma Sato and his own Honda-powered Andretti, having been just outside the podium places when the last caution was lifted. 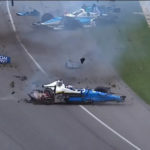 The Andretti driver pulled off several overtakes before timing his pass of three-time Indy 500 winner Helio Castroneves to perfection. The victory makes Sato the first Japanese and Asian driver to win the prestigious race. It also serves as redemption of sorts for Sato, having crashed out on the last lap in 2012, while fighting for the lead with eventual winner Dario Franchitti. The event was bitter-sweet for Castroneves then, who was hoping to tie the record for most Indy 500 wins (four). The finish marks the third time that the Brazilian has finished a runner-up at the race. At least he managed to avoid getting caught up in one of the most terrifying crashes of the year.